It’s the MOST WONDERFUL time of the year! The Olympics are here and we are approaching the beginning of the Track and Field events. Starting on Friday, hundreds of athletes will run, jump, and throw in their respective events, all with the goal of an Olympic medal. Although numerous athletes will be competing, there can only be one gold medalist, and we want to know which one of our readers can predict the most Olympic winners. The reader who selects the most winners will receive a Wide Open Camps spike bag, water bottle, and T-Shirt! Because Wide Open Camps is a distance camp, this competition will focus on the distance events. We want you, the reader, to comment either here on the blog or on Facebook, with who you think the winners will be for all events from the 800m up to the marathon. In case of a tie, you also need to include the total number of medals you think the United States will win in all track and field events, including the number of gold, silver, and bronze medals. All picks must be in before Friday, August 12 at 9:10am EST in order to be counted. Now we know that not everyone keeps up with professional track and field, so we’ve included the picks from Wide Open Camp Staffers to help you in your selections. 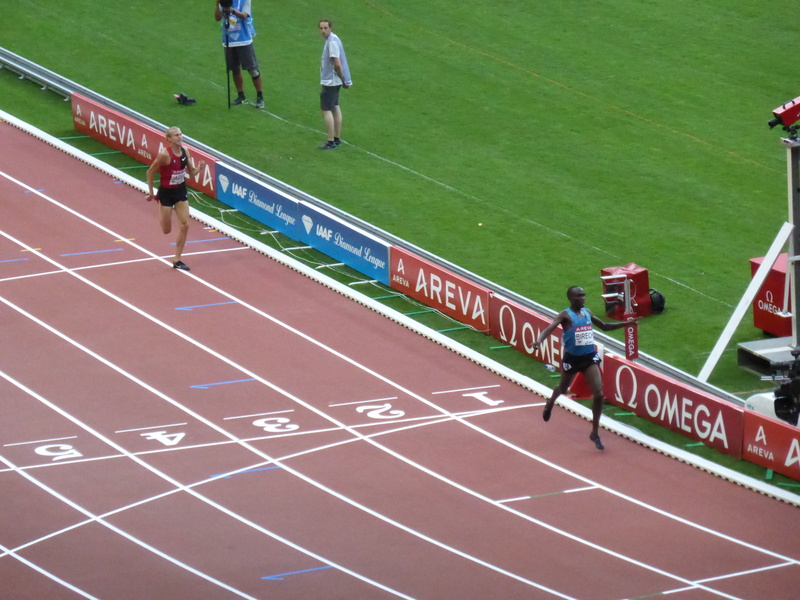 Jeremy Wegener – David Rudisha. He won the previous Olympic 800m in world record time and led it wire to wire. Plus, I think he covers 10 meters per stride so that’s only 80 steps for the whole race. Taking less steps means using less energy, which means he’ll have more in the tank at the end of the race to hold off any gold medal hopefuls. Expect a victory lap courtesy of the fastest man to ever cover 800m. Anna McKelvey Pope – David Rudisha. He is the world record holder in the 800m and with the nickname of “King David”, he’s gotta get some gold! Taylor Narewski – David Rudisha. If you’ve run under 1:41, I will never not pick you to win. Coach Stan Narewski – David Rudisha. Until someone runs 1:39, David will be my pick. Jeremy Wegener – Caster Semenya. I think what Caster Semenya does in the 2016 women’s 800m is a replay of what David Rudisha did in the 2008 men’s 800m. She’s going to get gold. The only real question is: will she set a world record in the process? Anna McKelvey Pope – Melissa Bishop. She finished second in the 800m at the 2015 World Championships, so she’s poised for success at the Olympics. Taylor Narewski – Margaret Wambui. Young Kenyan athletes tend to do well on the international stage. Coach Stan Narewski – Francine Niyonsaba. There are no eastern Europeans to take the title. Jeremy Wegener – Matthew Centrowitz. Centro always places himself in the right place at the right time and has a shot to win, and that becomes increasingly important in a tactical race. I think he’s feeling a little left out after watching Rupp and Farah’s success in the 10,000m at the last Olympics and wants to taste victory himself. Anna McKelvey Pope – Matthew Centrowitz. Centrowitz has had a lot of success in the 1500m, including a gold medal at the 2016 World Indoors. He’s also the son of a two-time Olympian, so it definitely runs in the family. Taylor Narewski – Asbel Kiprop. He’s won every major international medal since 2008 except for London when he was hurt. Hard to pick against him. Coach Stan Narewski – Asbel Kiprop. When you’ve run 1:43 and 3:26, I’m not sure what else you need to do. Jeremy Wegener – Jenny Simpson. I want this. I think I want this more than Jenny Simpson wants this. 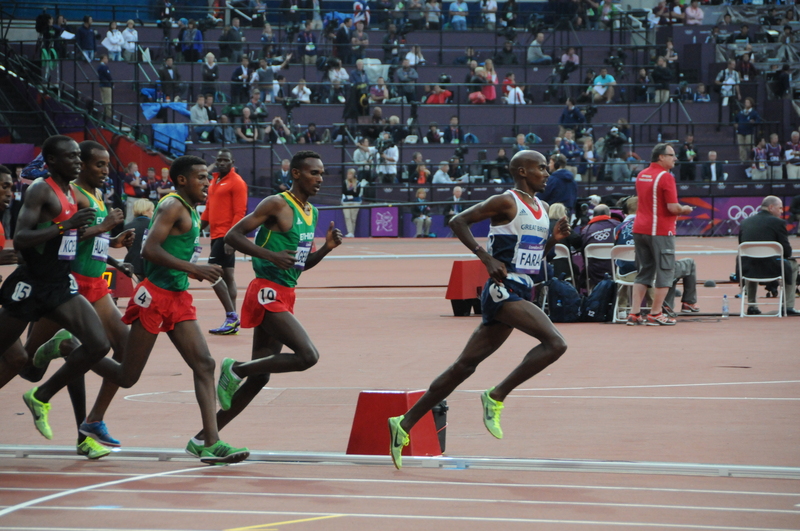 Just imagine double gold for the Americans in the 1,500m. Simpson is fast and already has the experience of medaling in a major World Championship (2013). She’ll draw on her speed, her gamesmanship, and her strength from growing up and training in the Florida heat and humidity (Sunshine State represent!) to edge out her competition in the last 100. Save your voices sports fans; you’ll need them to chant USA after this race. Anna McKelvey Pope – Genzebe Dibaba. In 2015 she broke the 1500m world record and won the title at Worlds. Also, she’s not going to let her two older sisters get all the Olympic glory! Taylor Narewski – Genzebe Dibaba. She’s run 3:50 and is related to Tirunesh Dibaba, one my favorite distance runners of all time. Coach Stan Narewski – Genzebe Dibaba. You can’t argue with someone being 5-6 seconds better than the rest of the field. Also, being a Dibaba doesn’t hurt. Jeremy Wegener – Evan Jager Ezekiel Kemboi. I hate myself for this pick. This man is the polar opposite of the athlete I actually want to see on the gold medal podium. He’s not American. He isn’t an underdog. He doesn’t even have a man bun. Kemboi may be the only athlete to win multiple gold medals in this event, and he may have been the victor in the last four world championships, but that doesn’t mean I’m rooting for him. Ezekiel will win, but I’ll be cheering for the floppy haired patriot. Anna McKelvey Pope – Ezekial Kemboi. He has dominated the 3000m steeplechase lately, winning the last four world championships. Plus, his victory dances are awesome. Taylor Narewski – Evan Jager. His time puts him close enough that I don’t want to root for anyone else. Coach Stan Narewski – Evan Jager. The performance where he was leading the best in the world and fell and then finished well showed some heart. However, he’s also talented. My lunch money is on him. Jeremy Wegener – Hyvin Jepkemoi. She won the World Championships last year and came within 2 seconds of breaking the world record at the Prefontaine classic this summer. Worth noting: the current world record is held by a Russian, and Russia is banned from the Olympics from doping, so one has to wonder if the current world record is substance assisted. Not counting the Russian, Jepkemoi is the fastest woman to ever cover the distance. I’m not going to bet against her. Anna McKelvey Pope – Emma Coburn. Coburn has matured a lot as a runner since her first Olympic appearance in 2012, as she is now the American record holder in the 3000m steeplechase. She’s also a great basketball player which is pretty cool. Taylor Narewski – Hyvin Kiyeng Jepkemoi. The reigning world champion is poised to come through again on the big stage even though Jebet has run faster this year. Coach Stan Narewski – Ruth Jebet. Ruth looks to be an up and comer and her best times in front of her. Emma Coburn has a chance to medal but not win because NBC did a puff piece interview on her DURING THE MIDDLE OF HER RACE!!! Jeremy Wegener – Mo Farah. He won’t have the hometown crowd behind him like he did last Olympics, but I think he still pulls it off. Impeccable tactics and blistering finishing speed will get him across the finish line first. 95% of this prediction is based on the fact that he looks pretty fast on his Instagram stories. The other 5% is I like his celebration. Prepare for the Mo-bot. Anna McKelvey Pope – Mo Farah. He won the 5000m gold in 2012, he’s definitely going for the repeat. Taylor Narewski – Mo Farah, He’s a great racer. That’s what matters in the Olympics. Being great at racing the rounds and the final. Coach Stan Narewski – Mo Farah. He’s been there and done that and he’s a really likable human. Jeremy Wegener – Helen Obiri. Not everyone is Mo Farah. Almaz Ayana is the favorite to win both the 10,000m and the 5,000m in Rio, and I’m sure she would love to be the distance queen to Mo Farah’s king. However, qualifying rounds are tough, and I think the 10,000m will take a lot out of Ayana. Obiri has the advantage of not racing the 10,000m, so she should be fresh enough to oust Ayana in the 5,000m. Anna McKelvey Pope – Tirunesh Dibaba. She is currently the world record holder in the 5000m. Taylor Narewski – Almaz Ayana. She’s run the second fastest of all time. Hard to argue with that. Coach Stan Narewski – Almaz Ayana. On my best cross-country team ever that had 7 guys under 30 minutes, Ayana would have warranted a scholarship. She’s that good. Jeremy Wegener – Mo Farah. Double the events. Double the medals. I expect to be screaming “HE’S STILL GOT IT” over the course of the entire last 1,000m. Rio is pretty far from London, but Mo Farah is far from his athletic peak. The bald Brit will assert his distance running dominance once again in the 10,000m. Anna McKelvey Pope – Galen Rupp. He won the silver in 2012, I just REALLY want him to win this year. Taylor Narewski – Mo Farah. A great kick matters more in the Olympic final than other race. Coach Stan Narewski – Mo Farah. I don’t think Galen Rupp can show up here when he’s trying to do the marathon and the 10K. Jeremy Wegener – Almaz Ayana. She’ll be fresh. I know I doubted her in the 5,000m, but that’s only because I think this race will be close. Ayana will get her gold in the 10,000m and keep her dreaming of a double. Anna McKelvey Pope – Almaz Ayana. She ran a 10K time of 30:07:00 earlier this year. Taylor Narewski – Tirunesh Dibaba. I don’t care who else is in the race, I am unabashedly a fan of Tirunesh. Coach Stan Narewski – Tirunesh Dibaba. 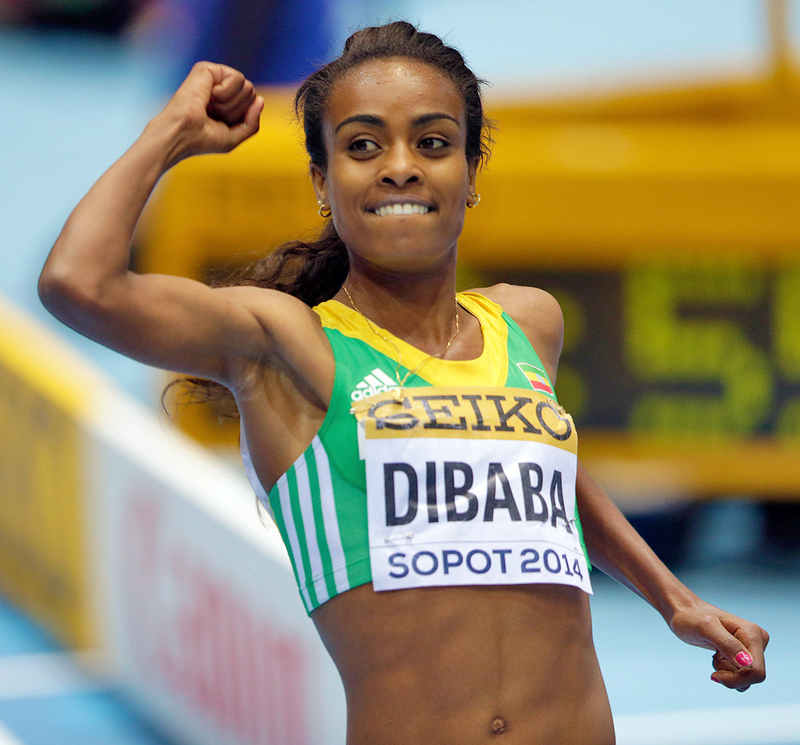 Bear Bryant was once quoted as saying, “I ain’t nothing but a winner.” That applies to Dibaba in the 10K. Jeremy Wegener – Eliud Kipchoge. He’s the fourth fastest man at 5,000m distance with a time 12:46.53. For those of you keeping score, that’s 4:07 per mile. That track speed translates to the roads too, where in his second ever marathon he ran a 2:04.05, which is the fifth fastest time in history. He has a cool name and runs fast times; I think those are the requirements for winning Olympic gold. Give him the gold medal already. Anna McKelvey Pope – Eliud Kipchoge. He has five consecutive big race wins, and he ran a 2:03:05 in April. Taylor Narewski – Eliud Kipchoge. Although Rupp has led a charmed competitive life, we don’t have great evidence yet that he will can have that same success here in the marathon. Besides, Kipchoge has run 2:03 this year. Coach Stan Narewski – Eliud Kipchoge. As Dr. David Herren say, the little things matter. This could be anyone’s race but as we’re picking who we think will win, I’ll go with the favorite. Jeremy Wegener – Jemima Sumgong. Her personal best (2:20:41) was set in Boston, but her next fastest time isn’t too far off (2:22:58). She’s won major marathons in the past, and most importantly, has won them in the heat. Due to the hot and humid conditions these athletes will be running in, I looked for a winner and someone experienced in racing in the summer heat. Sumgong is the girl to beat. Anna McKelvey Pope – Mare Dibaba. She is the defending marathon world champion. It’d be pretty cool for all three Dibaba sisters to go home with Olympic gold medals. Coach Stan Narewski – Mare Dibaba. When you’ve run 2:19 and you’re a Dibaba… that’ll do. Jeremy Wegener – Evan Jager/3000m Steeplechase. This is my opportunity to make up for my current pick in the steeple. Prove me wrong Evan Jager. Shove it in my face that I picked the wrong guy and labeled you a darkhorse. This way, we both win. Taylor Narewski – Matthew Centrowitz/1500m. I like Centrowitz a lot. He’s a smart and confident racer. He stays out of trouble. If he will start his kick a bit sooner I think he could step up for silver and even gold in the right race. Coach Stan Narewski – Galen Rupp/10000m or Marathon. He might be too far away from speed to do what he wants in the 10K or I wonder if the genius of the Nike Project shows up in the Marathon. Tie Breaker Question: How many medals will America track and field win overall? Now it’s YOUR turn! Comment either on the blog or on Facebook with your picks for your chance to win some Wide Open Camp gear. Readers to your marks… Set… BANG! Run Wide Open.